Architosh is recognizing that Cheetah 3D, developed in Germany by Martin Wengenmayer, is the first professional 3D application available on the new Apple Mac App store. The Mac App store went live yesterday and we spent some time on it investigating its offerings. Congrats to Martin for offering such a top-notch product offering to this new method of obtaining quality Mac software. “We are proud to offer Cheetah 3D on the Mac App Store from day one,” said Dr. Martin Wengenmayer, lead developer and creator of Cheetah 3D. 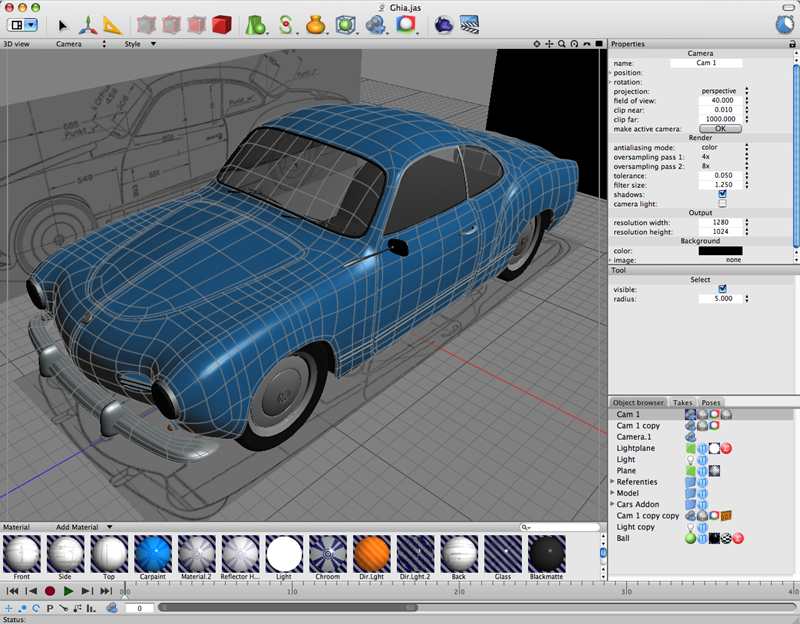 01 - A screen shot of the UI of Cheetah3D. Cheetah 3D is available on the Mac App Store for 149.99.USD.